Semantics is a finite meaning, or units that can be composed to generate more targeted meaning for a larger discourse. The Web as a universal medium for data, can host content, which can be expressed in a format that can be read and used by software agents to find, share, and integrate information more easily. 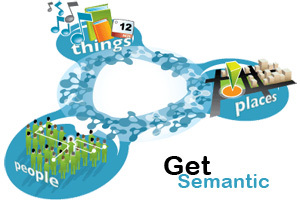 The Semantic Web is a vision of this integration of information drawn from diverse sources. The ability for machines to record how data relates to the real world, and a shift from the need to access a series of data bases through a series of searches, to the translation of content into machine readable information that can be accessed through one unending data base. Industry leaders are debating about how the semantic web is going to take the web to the next level, a move from Web 2.0 to Web 3.0. Allowing computers to do tasks that today only we can do by hand. 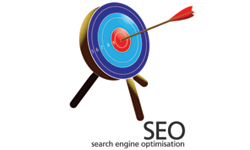 Such tasks include specific search results that don’t just find a restaurant, but one closest to the query. Not just book a flight, but the best flight for the queried. In order for this to be feasible, information in documents posted on the web need to be turned into data that a machine can not only read, but evaluate. Formal specifications for this include what is known as (RDF) Resource Description Framework, information that is presented in a way that can be understandable to computers. 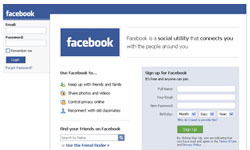 Tagging and microformats are a start, and social networks such as flickr are a less developed idea of the semantic web. The idea is to accumulate a large amount of “reusable repurposable, and reconectable data.” Once this happens, people “sit back and watch the Web start to get smarter….with some reasoning capabilities built into it. —-Nova Spivack. Well the web becoming semantic has its pros and cons. Scientists and researchers will be happy about using computers to link up data from different sources to create a holistic view of the world. But those who are concerned about the social impact of technology won’t be happy about the massive invasion of privacy. Also the machines will miss out on the deeper implicit meanings of the human communication and create useless results. 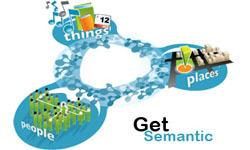 Yes, the semantic web is a really huge engineering solution that is going to give a different direction to internet. One wonders though what will actually happen to us (the humans ) once we actually hand over control to the machines.